Born in Boston and raised in upstate New York and Southern California, Dr. Lipton entered the Six-Year Liberal Arts – Medicine Program at Boston University in 1983. The program, designed to develop humanistic physicians, channeled students toward the liberal arts and clinical medicine. Dr. Lipton minored in Spanish literature with a special interest in contemporary Castilian fiction (Miguel Delibes was a favorite), including study in Salamanca, Spain. Key interests during medical school were the neurosciences and, in particular, brain substrates of psychiatric disease. Nonetheless, the opportunity to exploit technology and treat disease less invasively drew Dr. Lipton to training in Diagnostic Radiology and Neuroradiology. In his first faculty appointment as assistant professor of radiology at the Albert Einstein College of Medicine of Yeshiva University, through a newly established collaborative relationship between Einstein and the Center for Advanced Brain Imaging (CABI) at the Nathan S. Kline Institute for Psychiatric Research (NKI), Dr. Lipton was immersed in neuroimaging research and developed his own research program. With the support of a National Institutes of Health Mentored Clinical Scientist Career Development Award, he completed a Ph.D. in Neuroscience at Einstein, executing work that redefined our understanding of brain organization using electrical and hemodynamic (MRI) measures. 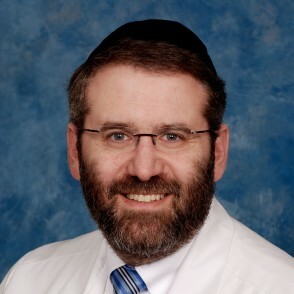 Subsequently, Dr. Lipton was promoted to associate professor of radiology, psychiatry and behavioral sciences and neuroscience at Einstein and named associate director of the Gruss Magnetic Resonance Research Center. In parallel with his basic science work, Dr. Lipton directs a program investigating mild traumatic brain injury and its effects on cognitive disability. Is There Any Such Thing as a Minor Head Injury?